Homeschooling encompasses many ideas, ideals, and philosophies. It involves many different learning styles, methods, and implementation. 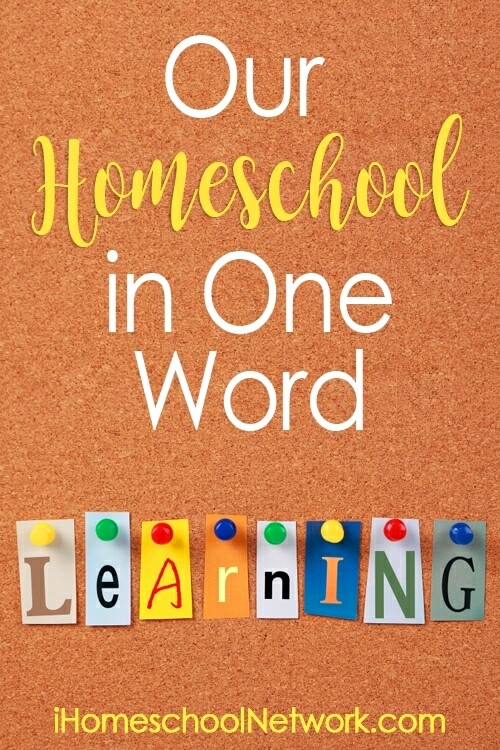 Because each family, each parent, and each student has varied thoughts and approaches for how homeschooling can and should work choosing how to describe homeschool in one word would not look the same for anyone. We’re all unique and our homeschools are a reflection of our own individuality. Which is why for any homeschooler the choosing one word to describe our schooling will be quite different. Today, the bloggers of iHomeschool Network are describing their own homeschool in a word. Take a look as we each display our own unique form of homeschooling. We’d love to know what word you would use to define your homeschool. Share your homeschool experience using one word with us below in the comments.